Seats are filling up. Advertisements are playing. Horns are blaring. Drums are snaring. It’s another Saturday at Memorial Stadium, and kickoff is in less than an hour. Behind all the pregame noise outside, inside the Bears’ locker room and in front of locker No. 8 sits linebacker Michael Barton. With his pads on and his helmet next to him, Barton calmly has his head down in prayer. After a few moments to himself, Barton gets up, puts his helmet on and gets ready to run onto the gridiron. As he makes his way to the field, it’s easy to spot the cross tattoo on his upper left arm. And connecting to the cross is another tattoo of a chain. The story of the chain goes back to Barton’s high school years at De La Salle. Although the imagery of the chain comes from his time at De La Salle, the same idea extends beyond just his high school football team. For Barton, the theme of unity and supporting those around him is recurrent. 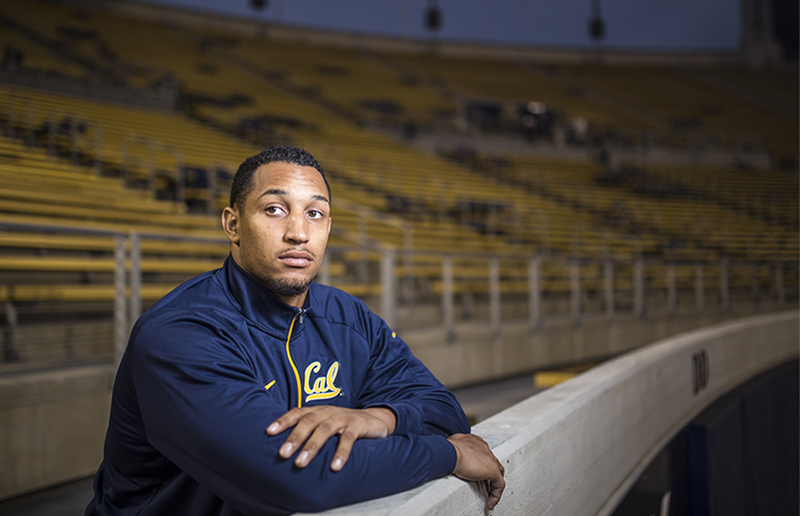 From his family to his home city of Richmond, California, to his Cal teammates, Barton has always played a key role in strengthening the communities he is a part of. Before going to Berkeley De La Salle, Barton grew up in Richmond. At the time, Barton’s mother, Chakay McDonald, was a single mother and a cop. Like in most Bay Area neighborhoods, gentrification there has swooped in, and there have been significant developments around the area that have made Richmond a buyer’s market. But in the ’90s, the Iron Triangle area in Richmond didn’t have the best reputation and was one of the more dangerous marginalized communities in California. Despite the obstacles that come from being raised in a single-parent household in an inner-city environment, Barton credits his mother with providing for both him and his sisters, and with making sure he knew how to keep himself safe. Barton still remembers the time when he was in sixth grade and went to see a De La Salle football game. After witnessing the team play, he learned about De La Salle’s elite reputation for both its athletics and academics. That’s when Barton decided it was the place he wanted to be. But De La Salle was in Concord, California — about an hourlong drive from Richmond. In addition, Barton wasn’t the only person who wanted to go to a school with such prestige. It was competitive and selective. Although De La Salle yielded high rewards, getting in was no easy task. Barton took the entry test for De La Salle and got in. Barton found himself in a new world. Going from inner-city Richmond to a private Catholic school in Concord was an adjustment. The people around Barton came from privilege: From the cars they drove to the houses they lived in, it took some getting used to. But because of the life lessons he received at home, Barton was prepared and not shaken by the transition. De La Salle assisted Barton with financial aid. But the amount of money and resources people had was something Barton wasn’t accustomed to. Coming from a background where things didn’t always come as easily for him, Barton went through a dramatic culture shift. But at the same time, it was also a growing experience. On the field, Barton proved to be a defensive player with the instincts to consistently find the best routes to attack the ball carrier. Playing three years on varsity, Barton finished his career with 233 total tackles and was the leading tackler in both his junior and senior seasons. 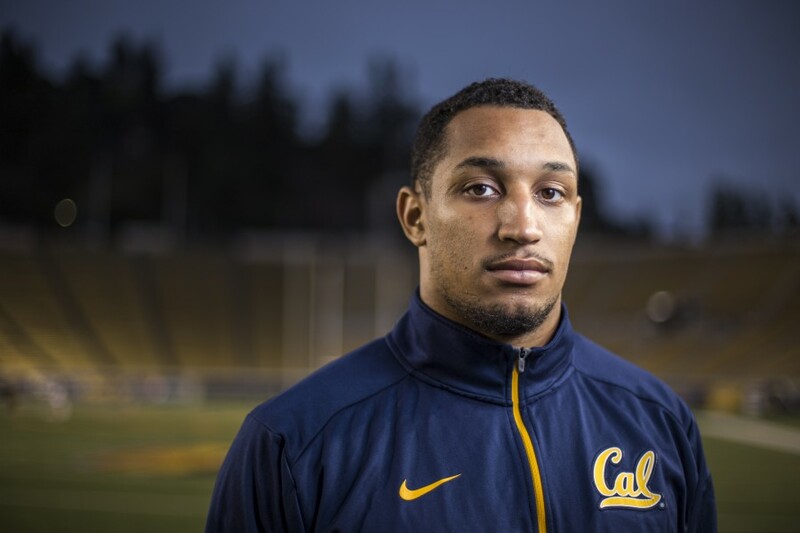 Now in his junior season with Cal, Barton is at a stage in his life where it seems as if he can conquer anything and everything. He’s the Bears’ current active leader in tackles for loss and second in tackles. On top of his individual accomplishments, Cal is undefeated at 4-0 and ranked No. 24 in the country. But Barton wants everybody to prosper. And he wants to use his accomplishments and success to give back to his home in Richmond. Today, Barton still stays close to home, living in a Richmond apartment with his teammates James Looney and Darius White. 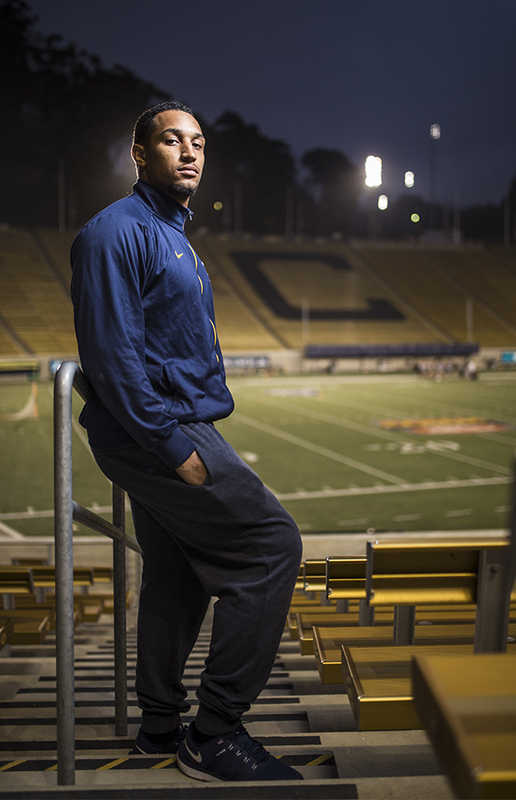 He frequents youth football programs around the Bay Area to share his story and stress the importance of academics and time management. Barton also helps Landrin Kelly, the father of former De La Salle star Terrance Kelly, with the Terrance Kelly Youth Foundation. On Aug. 12, 2004, just two days before Terrance Kelly was to attend the University of Oregon on scholarship, he was shot and murdered. The foundation started as a way of honoring Kelly by helping give inner-city youth an opportunity to succeed academically and athletically while also raising awareness for violence prevention. Before every home game at Memorial Stadium, Barton’s introduction slide appears in the jumbotron, and “Richmond, California” is printed clearly right under his name and number. Whenever Barton takes the field, he’s playing for more than just himself. Barton’s goal is to be a light for an area where many have to overcome more obstacles to succeed than those from privileged areas. Keeping the chain together has always been the story for Barton. It was a team effort when his mother raised him and he had to take on the responsibility of being the oldest sibling in the family. It was a team effort when he suited up as a Spartan at De La Salle. It’s a team effort now with the Bears. And it’s a team effort with his home neighborhood in Richmond. Through the work he’s doing right now, Barton is trying to do everything he can to help lift everybody up. “Richmond is a tight-knit community, and people really care about each other,” Barton says. “The thing about inner-city neighborhoods that people don’t understand is that people are close and community is close, and people will rally together, especially when they see someone making it out of the community.